At a meeting in Wellington, Marianne Tasker and supporters established a domestic workers’ union, hoping to use the Liberal government’s Industrial Conciliation and Arbitration Act to force employers to improve pay and conditions. Central to their demands was a 68-hour working week. From the late 1880s to the 1930s, domestic service was the single largest form of paid employment for women. The ‘domestics’ who worked in more than 15,000 New Zealand homes often endured harsh working conditions: a 16-hour day, 6½ days a week, for low wages. Several earlier attempts to form unions, including one led by Tasker in 1899, had petered out. 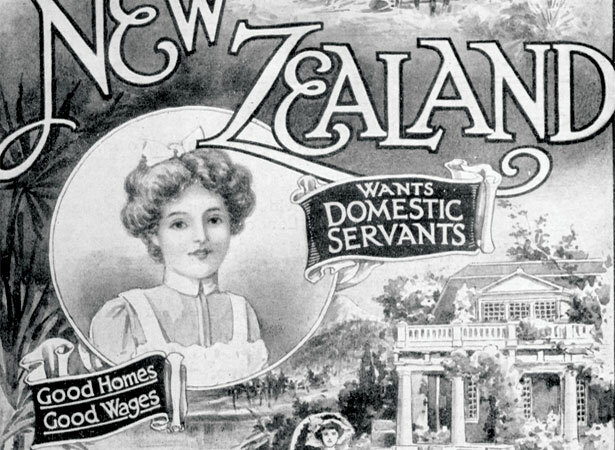 The 1906 effort aroused much debate; the wife of Wellington’s mayor sniffed that domestic workers who complained about working conditions were ‘mainly those who were incompetent’. An administrative blunder soon gave its opponents an opportunity to nip the union in the bud. In mid-1907, Marianne Tasker left New Zealand to visit Britain. The acting secretary failed to re-register the union and the registrar of industrial unions cancelled its registration. We have 17 biographies, 9 articles, related to Domestic workers call for 68-hour week.